If you have a branded vehicle then why not take the style and practicality of it to the next level with proper branded gear? A lot of people take great pride in their car, and why would you? After all, it is likely that you drive to and from work in your vehicle every single day. And then there are the times you pop to the supermarket, drive to your friend’s house, and so on and so forth. Therefore, when spending so much time in your car you want to make sure that it looks fantastic and feels great to be in too. By buying branded accessories and other products, you can create the ultimate customised vehicle. In fact, not only can you customize your car but you can customize yourself too with the array of clothing and fashionable branded accessories available. One of the most popular buys seems to the branded cufflinks. These are extremely sleek, stylish and sophisticated. In addition to this, there are more casual and relaxed products in the form of hooded jumpers and t-shirts. How cool would it look if you were to match your vehicle? But back to your vehicle, one of the best ways to customize your branded car is through the purchase of new seat covers, like Grok Auto seat covers. Because your seats make up the majority of the interior of your car they have a dominating impact. They can dictate the entire style, vibe, and feel of your vehicle. Not only this, but if you choose wisely then they can make your branded car a lot more comfortable too. If you want to go for a luxurious and lavish edge then almond seat covers look beautiful. Alternatively, you can also go for a contemporary and classy edge with black covers. And don’t forget; not only do the covers look fantastic and feel comfortable, but they protect your actual seats as well. You don’t have to go for something as elaborate as seat covers, something as small as a branded pen is a fantastic way of customizing your vehicle and it won’t cost much at all. After all, a pen is something you are likely to use on a frequent basis, and so it is always a good idea to have one handy in your glove box. A sophisticated black and silver branded pen is going to look a lot more impressive and classy than having a plain boring ballpoint pen, isn’t it? All you need to do is take a look online and you will see that the possibilities are vast depending on the brand of your car. Aside from the options already mentioned other branded gear includes; bears and toys, luggage, camping gear, tires, phones, hats, mugs, flasks, and much more. You name it; there is a branded accessory for it! Take your car to the next level and customize it to suit your personality by buying several branded accessories and products. The array of products available is astounding and there is no better way to make your vehicle look and feel fantastic! When you have a car, it is important to look after it as well as you possibly can, and this means doing as much as possible to improve the way the car is dealt with, as well as what you need to do to be safer on the roads. There are so many things you need to make sure you do in order to give your vehicle the best possible treatment, and this is essential for helping with this. There are a lot of things you can do that are going to help you improve the process of looking after your car. It is important to ensure that you think carefully to improve how well your car is looked after, and keeping it on the road as much as possible. Make sure you do as much as possible to improve your vehicle and follow these ideas that will allow you to keep your car on the road as often as possible. Driving safely is one of the most important things you can do and is essential for keeping your car on the road for longer. Driving as safely as you can is a great way of being able to ensure that you avoid accidents or damages that might impact your car. But, more than this, it also helps to improve your driving and keep points off your license. Though cars have become safer these days, it actually seems that the roads are becoming more dangerous. And one of the reasons for this is the fact that people are driving more recklessly. If you want to keep your car on the road as much as possible, you need to make sure you drive much better. Another excellent idea for helping with this is to make sure you stock up on spare parts. This is really important when it comes to keeping your car in the best possible working order. You need to do as much as possible to ensure that you can keep your car on the roads as much as you can. This sometimes involves doing some work on the vehicle and making sure you repair and fix problems yourself. You need to check out things like the Vanos solenoid for a BMW, as well as heading online and stocking up on the relevant parts as much as possible. This will allow you to make the right kinds of changes and improve the future of the vehicle as much as possible. Keeping the vehicle in good working order is so important, and there are a lot of great things you can do to ensure this. For instance, you might like to think about how you store it – either in a garage or under a car cover to protect against the elements and crime. You should also try to make sure you are focused on keeping her clean and tidy as much as you possibly can. These are just a few of the great options that you need to keep in mind when it comes to improving your car and keeping it on the road as much as possible. The more you can do to look after your vehicle, the better your life will be as a result. Use the tips above to help you achieve this as much as you possibly can. An important part of making your car last longer , is to make the parts that can contribute to your car’s longevity last longer as well. Car maintenance is a necessary factor for extending the life of your vehicle. However, if rotation of tires, changing the oil, and replacing the battery aren’t being performed, you could end up damaging more than expected, resulting in more trips to the shop. While it can be tempting to avoid replacing certain key parts in order to save money, records have shown that spending a little more money to keep your car in good shape could end up saving you from buying another car entirely. This infographic, accessed through the link below explains some of the precautions you should take to ensure that the lifespan of your vehicle reaches its maximum potential. If you have your own car, then you’ll know the love that forms. It sounds silly considering it’s a metal object, but it does so much for you and gives you the freedom to do and go whatever and wherever you like, and that is such a gift. It allows you to be independent without having to worry about relying on anyone or anything, and this is when your life truly begins. So when you have something so great, why not personalise it and make it a truly unique little beast that reflects exactly who you are? There are so many ways you can do this, from being subtle in your choices, to going totally out there. Here are some ideas to get you thinking. You can change the interior design of your car any time you want, and the material in which you have inside is a great place to start. What do you want to feel under your skin when you sit inside your car. Would you prefer a leather, or a suede for the more eccentric of sorts? If you really aren’t too sure, then buy some simple covers instead, that way you don’t have to commit to anything. Headlights are such a necessity on a car once the sun starts to set, they are what allows you to see through the darkness. But you don’t have to just go with the bog standard ones that already come on your vehicle, you can mix it up if you wish. Have a look on sites like TDot Performance that supply you with so many different parts and pieces to change up the look of your car that you’ll be spoilt for choice. Let’s face it, tinted windows always add that coolness to a car, literally and metaphorically in fact. It gives your ride an edge, but also gives you the shade you need in the summer. It stops that major glare coming through the window screen so your eyes can relax, but not only that, your car won’t tend to overheat either as the hot rays can’t get through. Just be sure to check what the rules and regulations are in your area to determine how dark of a tint you are allowed to go. The overall colour of your car says an awful lot about you, but did you know it’s not just the choice of colour, but also the finish you have on your car too. Metallic, pearlescent, chrome, matte, and more – you have an endless list of choice when paired with the colour too. So although you may start out buying a basic red car, doesn’t mean you can’t transform it into a golden chrome! Now you have a whole bunch of ideas, you can turn your car into whatever you want it to be. Give it the personality and life that it deserves because you are riding around in it all day after all, you need to complement one another, right? Anyone who has ever considered purchasing a car will know that doing so requires a substantial financial commitment. In fact, aside from their home, a car is arguably the most expensive purchase anyone will make – and then there are the ongoing costs for gas, maintenance, and repairs to keep in mind. 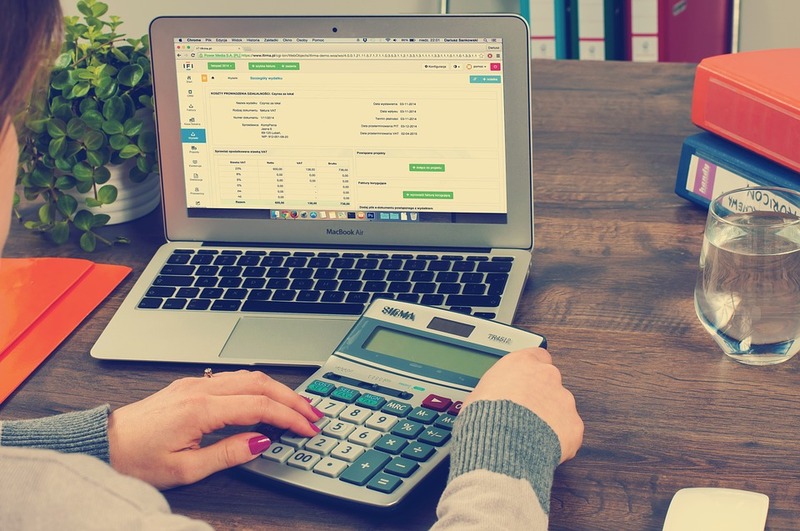 Unfortunately, understanding exactly how your car can impact your personal budget – or even if you can buy a car at all – can be challenging, as there are more than a few myths and misconceptions swirling around the process. Below, we’ve looked to cut through to the basics of buying, maintaining, and repairing a vehicle; the facts you should always keep in mind when considering how you can integrate all elements of car ownership into your finances. The fact that purchasing and running a car is expensive is well-known; so well-known, indeed, that many people living on a tighter budget presume that a car is outside of their reach. However, it may not necessarily always be the case, because buying and maintaining a vehicle can be completely flexible. While there are costs you will inevitably incur, these costs can be entirely customized to suit your budget. There’s no average amount that a car costs; every individual creates their own usage pattern and chooses a particular model that suits their needs. If you’re short on funds, you could opt for a smaller vehicle to keep gas costs down, or shop around to find the cheapest possible repair service – there are tweaks that can be made at every point. 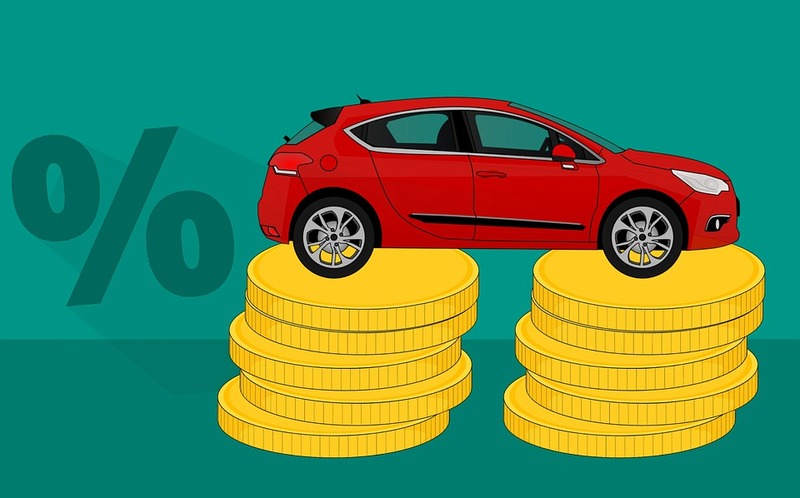 Finally, if you do not currently have a car and are concerned about the impact on your budget, remember to factor in the fact that you won’t sustain car costs on top of your existing budget. The car will actually replace expenses in your budget; sections you usually reserve for other forms of transport, such as taxi fares or bus passes, so always ensure you remove these from your outgoings when buying a car. While we have tried to keep these points general and applicable to all, there is one finer detail we need to highlight when discussing cars and personal finances: beware the hybrid. Hybrid cars have long been marketed as a cost-effective solution to standard petrol or diesel, but this claim has been thrown into doubt over recent years, as experts point out gas alone is not the only cost involved in car ownership – and that, all in, hybrid cars are not necessarily the most affordable choice. Hybrid cars are still an excellent choice for environmental reasons, but the commonly discussed cost benefits are highly contested. As a result, if you’re considering moving to a hybrid for cost concerns alone, be cautious and ensure the math checks out before you commit. For most people, financing is the only way to buy a car – saving the entire cost is extremely time-consuming, not to mention that it’s next to impossible if you need a car in a relatively short period of time. Financing is, therefore, the most sensible solution for most car buyers, but obtaining that financing is often a cause of concern. It is often thought that you can only access car financing if your credit score is high and your credit record clean – but this isn’t actually the case. There are plenty of dealerships which ensure that buying a car with bad credit is more than possible, so if you need financing for a new car, you should be able to access it regardless of your credit history. The reason financing is generally more flexible with cars is because a vehicle is an asset with an intrinsic value, which means lenders are more willing to accept applications than they would be for a loan used for non-specific purposes. If there is one ongoing cost concern that deters people from buying a car more than any other, it’s the fear of repair costs. In truth, it’s impossible to completely assuage this concern; repairs can be incredibly expensive, which can place a significant strain on personal finances. However, repair costs are not just something you have to accept – they can be managed. For example, proper maintenance can help to prevent the need for repairs, or you can look into insurance plans that will cover the cost of standard repairs rather than repairs related to an accident only. 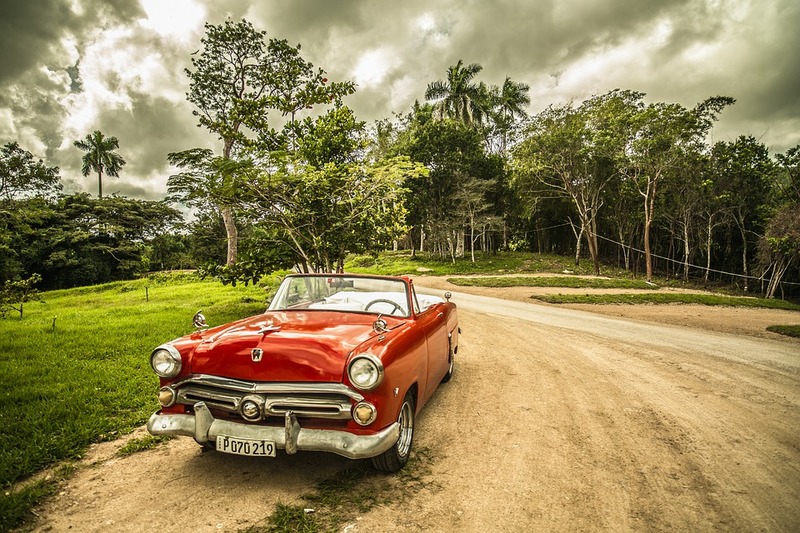 Furthermore, many cars – both new and used – can be bought with guarantees intact, which covers the cost of repairs for a set period of time; you can then use this time to build a fund that can cover the cost of repairs when the guarantee has expired. If your car develops an issue, it’s incredibly tempting to head to YouTube or Google the problem in the hopes of finding a way of fixing the problem yourself rather than consulting a professional. Similarly, you may want to consider conducting routine maintenance yourself also, again turning to the internet rather than a qualified mechanic. There are plenty of guides that will help you in this effort, too – but it’s crucial to be extremely cautious. 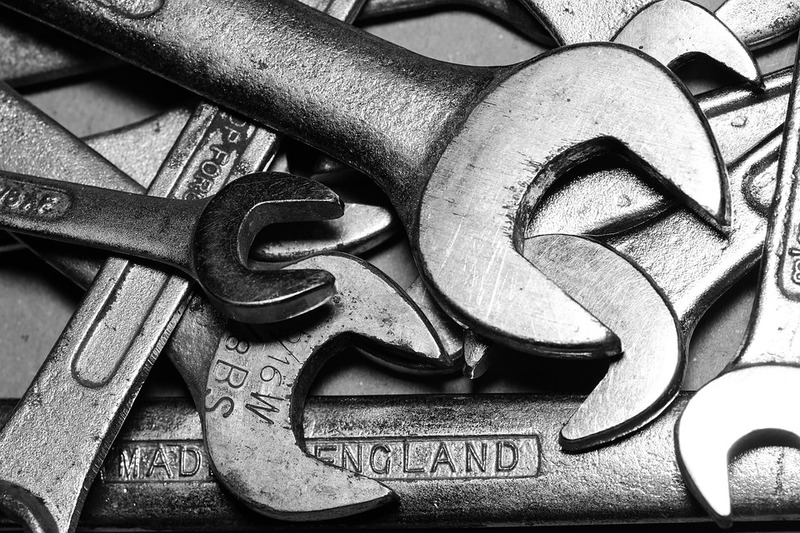 While a DIY maintenance job or repair can be more affordable in the moment, the simple truth is that cars are incredibly complex, and it can be next to impossible to know all is well unless you are a qualified mechanic. By working on your car yourself, there’s a real chance that you’ll still experience breakdowns or poor performance in future, so you’ll need to consult a professional anyway. As a result, you could find yourself spending twice: firstly on the materials you’ll need for your DIY effort, and then paying a professional for the same work at a later date. It’s therefore preferable to leave the auto shop work to the experts; it may be more expensive in the moment, but is the far more cost-effective choice in the long run. It is undeniable that buying and owning a car can be expensive, but by keeping the above points in mind, you should be able to enjoy the delights of car ownership without any unnecessary financial strain. A car is a major investment. In fact, for most of us, it’s one of the biggest we make throughout our entire lives. However, unlike most other investments, vehicles don’t hold their value over time. Instead, they, unfortunately, start to depreciate from the moment you drive them off the dealership’s lot. This means that, when it comes time to sell your vehicle, you’ll lose a significant sum of money in the process. Depreciation is one of the biggest costs of car ownership, but, thankfully, it is one that you can combat. With that in mind, here are thirteen things you can do. When it comes time to buy a car, there are lots of options for you to consider. To get the most back for your vehicle, you should opt for makes and models known for their quality and reliability. MINIs and BMWs are popular choices as of late. It will also benefit you to choose a car that has a good warranty. This will make maintenance cheaper for you, but also makes your vehicle more attractive to future owners. Steer clear of big, expensive cars, as they tend to depreciate more. Bright and unusual colors may reflect your personality and style, but like selling a house, this can also have a negative impact on the resale value. It can also make it much harder to sell your vehicle at all. 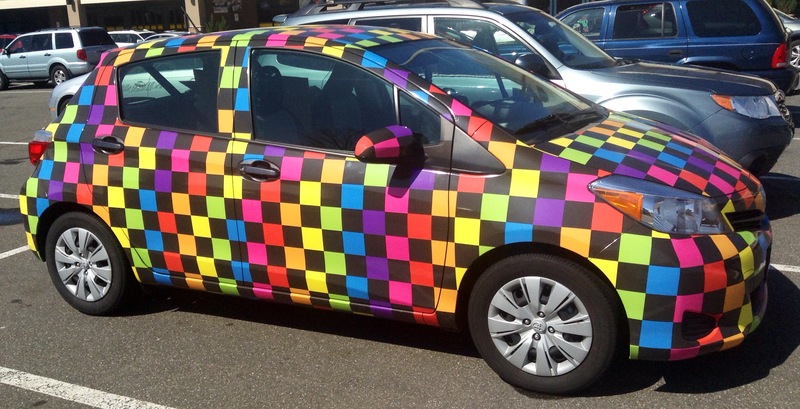 For this reason, you may want to stick to neutral colors and avoid airbrushing and decals at all costs. If you can’t hold back from pimping your ride, you should at least get a light-colored paint job before you put it up for sale. The more “standard” you make it look, the better. New cars depreciate a lot faster than most used ones do. Because of this, you should go used car shopping, rather than hunting for a brand new vehicle. This allows you to avoid a huge chunk of the car’s depreciation right away, potentially saving you a lot of money. That being said, this will only work if you choose the right vehicle. The older or less cared for the car, the higher the chance there is that it will have problems, which cancels out the benefit of slower depreciation. If you plan to buy new anyway, you should start shopping at the very beginning of the year. A car’s year of purchase is one of the key factors establishing its book value. This means that, if you bought a vehicle towards the end of a year, you’d see a much smaller resale value than you would have done buying a car just a few months later. This is because your car will appear a whole year older, rather than only a handful of weeks, making it seem a lot less reliable. Your owner’s manual and service book are, of course, incredibly important, but what most people don’t realize is that losing or throwing away these documents can actually cost you money. A car without these papers, after all, is going to immediately arouse suspicion, meaning that fewer people will be willing to buy yours for a fair price. A car with both of the documents up to date, on the other hand, is a lot more attractive and should sell for its true value. The best way to boost your car’s resale value is by taking proper care of it. This means following the maintenance schedule usually documented in your owner’s manual. This will tell you when your car should be serviced, as well as when to change the liquids, oils, filters, and other essentials. By following this timetable, you should be able to keep your vehicle in a good working condition, reducing the chance of costly mechanical or electrical faults any time soon. Cars that have been driven poorly tend to reveal themselves during a test drive. The performance of a vehicle while braking, accelerating and cornering can all give potential buyers an idea of whether or not you have driven your car with care. With that in mind, you should ensure you pay attention to how you drive and make an effort to do so better, avoiding speeding or harsh braking. This will reduce the chance of your car becoming damaged while you drive. Unfortunately, it’s not just how you drive, but how far you drive that plays a part in determining the value of your vehicle. In fact, mileage is one of the main factors that most buyers consider. For this reason, it’s crucial that you keep the mileage of your car as low as you can. The easiest way to do this is by not using your car for any long distance journeys. Instead, stick to city driving only, and rent a car if and when you want to take a road trip across the country. 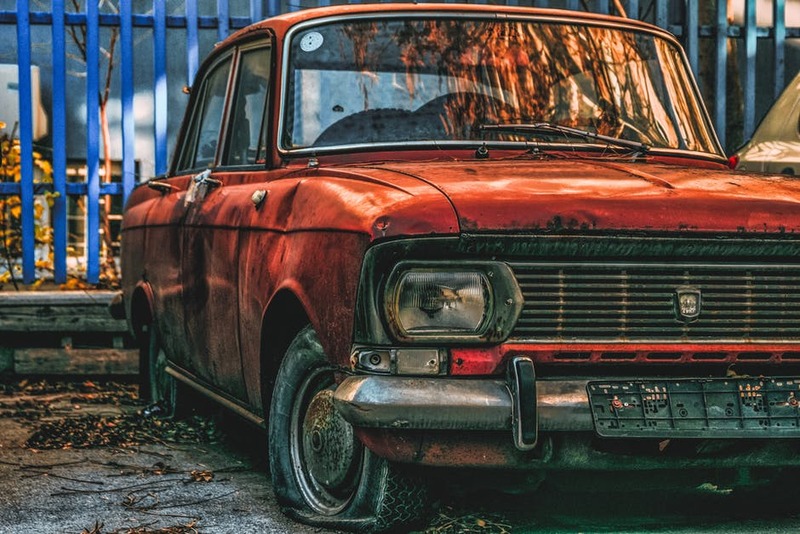 Persistently dirty cars lead to body corrosion, permanent stains, and faded carpets, all of which can negatively impact the value of your vehicle. If your car is also dirty upon viewing, it makes it less attractive to potential buyers, suggesting your lack of care could also have contributed to unseen issues. Because of this, you should make sure that you clean or have your car cleaned regularly. You should also take precautions by investing in seat covers and floor mats. 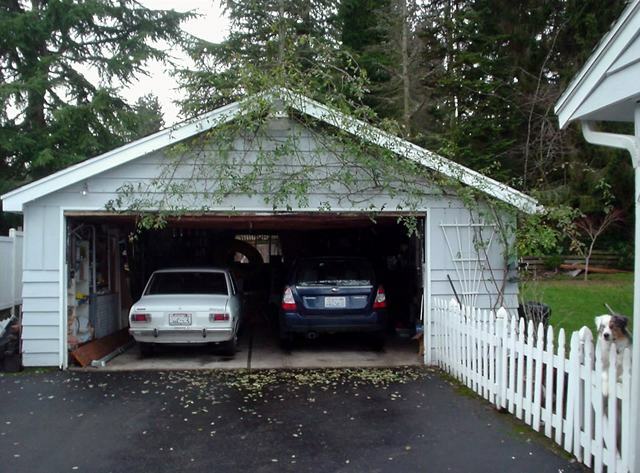 These days, garages are typically used as dumping grounds for old furniture, sports equipment, Christmas decorations, and other unwanted junk. However, you should give your storage space a good clear out and instead use it for what it was intended – Protecting your car. This is especially important if you live somewhere with a particularly harsh climate. After all, extreme weather, whether it be hot or cold, can physically damage your vehicle and harm the engine. We all love and expect a new car smell, even when purchasing a car that isn’t actually new. Because of this, you should avoid giving your car any unpleasant odors. Whether it is cigarette smoke, wet dog, or greasy food, any unwanted smells can really put off a potential buyer, so it’s best to keep them out of your car. It also helps to have an air freshener hidden somewhere in your vehicle for when buyers do come a have a look. Modifications may seem like the best way to increase the value of your vehicle, but, although they sometimes can be, they definitely aren’t always. This is especially true when purchasing a brand new car. From expensive sound systems to larger wheels, there are a number of add-ons that simply won’t carry their value when it comes time to sell your car. Typically boy racer type modifications can be particularly off-putting and should be avoided where possible. When it’s possible, you should time the sale of your car in a way that maximizes its value. This means avoiding selling your vehicle when the manufacturer has just released a new model. You should also ensure you sell in the right season. 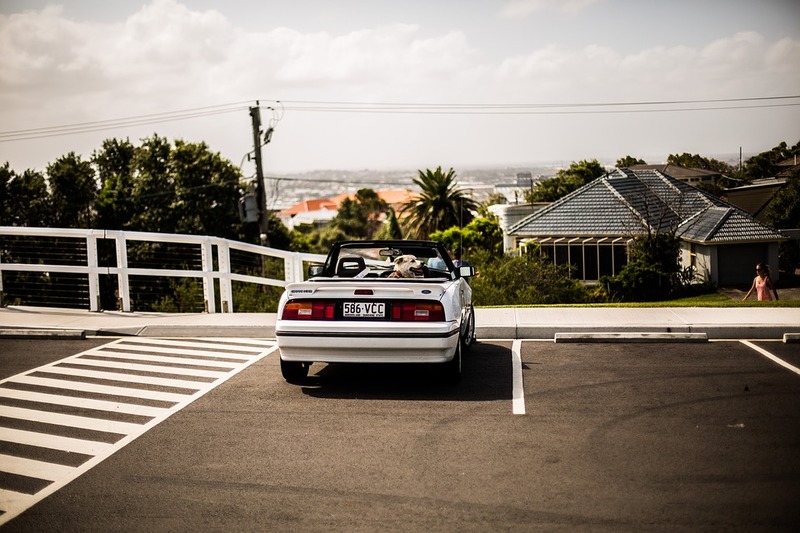 A convertible, for example, is best sold throughout the spring and summer, when most drivers will want to take advantage of having the top down. Of course, it isn’t always possible to do so, but when you can, it is beneficial. Depreciation is a cost no car owner can avoid, but, with these helpful tips, you can combat and minimize it. Taking your driving test can be the most stressful thing you do this year and you will likely have spent hours and hours trying to learn the ropes and become the best driver you can possibly be on the road. Driving is a skill which a lot of us want to gain in adulthood and today we are going to look at some of the top driving test tips you need to know. Obviously before you take your driving test you will want to make sure that you have lots of practice and make sure that you are ready for the test. In the run up to your test it can be a good idea for you to try and book a driving lesson every day or two and make sure that on the day of the test, you book a driving lesson directly before your test. Doing this will help you to be more comfortable on the day and ready to tackle your test. If you are becoming a little worried in the run up to your test, make sure that you take the time to ask for help, services such as this https://dmvconnect.com/pa-pennsylvania/ can help you to prepare for a test and they may be able to give you some extra resources and guidance to help you pass your test the first time you take it. This sounds like a stupid thing to say, but it is super important that you don’t freeze up when you go for your driving test. Stop and think about what you are doing and the fact that you are on the road in the real world. Because of this you need to make sure that you don’t freeze up when you take your test because it dangerous for other road users. Just take your time making decisions and movements as it is better to be slow than to panic. You are a good driver. You’ve got this. You know what you are doing. When you are preparing to go to the test these are the things you will want to say to yourself because it is these things which will help you to conquer your fear in the day and drive well. Act confident and no one will question you, and if you can trust your own ability you won’t even question yourself and you are much more likely to succeed. The car you drive on the test is super important to think about and you need to make sure you know the car inside and out. This is why it is a great idea for you to use your instructors car on the test day rather than any random car supplied by the test organisers. Being able to do the test in a car you are familiar with will help you massively and this can make all the difference to you when you sit behind the wheel.